To succeed in our ever-accelerating world, organizations must learn to move, innovate and change faster. 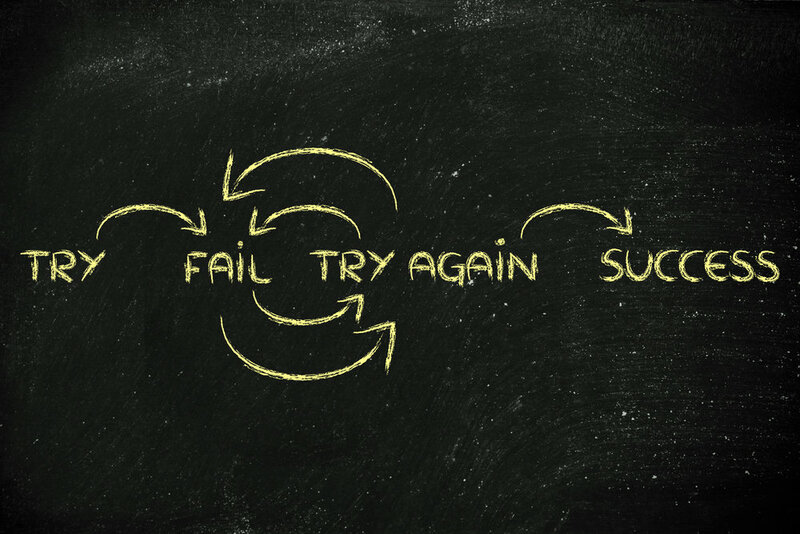 Rapid and sustained innovation requires a fundamental shift in our understanding of failure and success. To innovate, we need to accept that trying something new entails the possibility of failure and recognize that each failure presents valuable lessons that, if learned, can enhance our future success. Establishing a supportive culture of forgiveness where failure is not only forgiven, but expected and valued, can be an extremely powerful enabler of successful innovation and continuous change. Doing so also can significantly increase the health of your organization’s culture as well as employee happiness, satisfaction and retention. Why Does Creating a Culture of Forgiveness Matter? By culturally embedding forgiveness and respect for the failures and mistakes associated with the process of rapid change and innovation, leaders encourage and create space for their teams to stretch beyond “how things are done” to discover entirely new ways of how things can be done. Respect and compassion — for self and others — are the foundations of forgiveness. As a company reframes the concept of failure, its leaders and their team members also may look at the meaning they individually attach to mistakes. By doing so, they may discover their own deeply held beliefs and fears about what failing or making mistakes reflects about themselves — creating opportunities for meaningful personal development with a big professional payoff. Leaders set the tone for how people in the organization see and treat each other. And actions speak louder than words. By owning their own failures and treating themselves and their entire team with compassion and respect, leaders support creation of a healthy, innovation-friendly culture — one that not only forgives failures and mistakes, but uses them as opportunities for individuals, teams and the organization itself to learn and grow. Respond with curiosity, not judgment. Focus on the goal of continuous learning and improvement. Assume nothing and ask questions. Gather information to identify issues and causes. Look beyond the what to the why. Consider all factors, including any organizational and operational processes as well as those at the interpersonal level, that may have contributed to the outcome. The failure may signal a broader underlying issue that needs to be addressed. Reach agreement and move forward. When all key takeaways have been reviewed, encourage the team to let it go and try again. This can be a transformative process that deepens your team’s compassion for themselves and their colleagues, enabling them to more easily accept, forgive and regroup following failures. The trust this builds continuously contributes to the development of a resilient, supportive environment in which people dare to stretch and fail on the way to achieving their goals. Be clear on the overall company goals and talk about where you need to stretch further and experiment to successfully innovate. If you have “boundaries” beyond which things could go too far, identify those and explain them to the team. Open up the conversation of experimentation and what team members’ fears might be. Then, explore and allay those fears. Remember that the best way to build trust is to communicate openly, honestly and compassionately. Celebrating both successes and where people tried, failed and learned lessons. While this might feel uncomfortable at first, you will increase your team’s comfort level with failure by reframing it as a normal process that provides information necessary to move toward eventual success. As a leader, bringing up your own failures and sharing the lessons learned. Doing so reinforces both the possibility of failure and the value of embracing the opportunity for learning and growth inherent in the experience. Reframing your own concept of failure. If someone goes too far, don't declare them wrong in your mind; think of them as someone who was trying hard and went too far or off course. Listen to understand and learn from their perspective, share your understanding of what happened to help them learn from yours, and remind them that these experiences happen and are a natural part of the process. Innovation and change don’t happen overnight, but they are happening faster than ever before. The key to successful innovation is welcoming all ideas from across the organization and creating a culture that recognizes failure is an inevitable, necessary — and forgivable — part of business success. After all, companies that fail to fail will ultimately fail to innovate, and companies that fail to innovate will simply fail.